Dealing with jealousy can be one of the most frustrating challenges you will ever face. That's because you are looking in the wrong direction! You think your jealousy is about your partner or spouse--and I totally get that, but it's actually about you. The thing is, you've probably noticed that you just can't change other people! But the jealousy is inside you, and you have total freedom and responsibility for anything going on inside you. Jealousy is sometimes called "the green eyed monster," and that "monster" lives in the head of the jealous person. You may have very good reasons for being jealous, but our focus here is on what it's doing to you. You can start overcoming jealousy right now, by learning to love and value yourself more. Learn to focus on your positive qualities to overcome jealousy today! Very good question--by the way, do you have other questions or stories about jealousy? Share them here. Your partner's behavior starts to worry you. S/he seems distracted, not interested in you, and maybe flirtatious with others. Things are just not the same as they were. 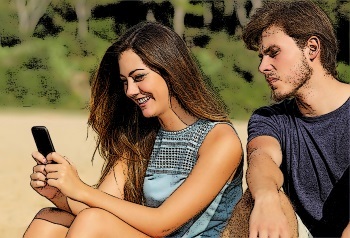 You start to suspect an affair, or at least an emotional affair. The point being that your partner seems more interested in someone else than they are in you. Your mind starts to play out different scenarios, and you get emotional--afraid, angry and extremely upset. You confront your partner, and they deny everything. Nothing changes, and you just feel worse and worse. You're dealing with jealousy and all of the bad feelings that go with it. That's why you're here. You are tired of the jealousy, and you want to find a way out of those miserable feelings. Now let's move on to some solutions to this problem. How Does Self Esteem Help In Dealing With Jealousy? It all boils down to this...you learn to create a wonderful life for yourself, so that your focus on your partner moves into the background. When you're feeling jealous, you have lost your focus on what matters most, which is your own happiness and personal well being. Don't get caught in the thinking that you'll be okay when your partner starts to act right! Learn to love yourself. People with jealousy problems usually love the other person more than him/herself. Build your self esteem until the feelings of jealousy fade away. Understand relationship boundaries and the importance of taking responsibility for yourself, your role in the relationship, and the relationship itself. Sometimes you can overcome jealousy problems by healing your emotional wounds from childhood. 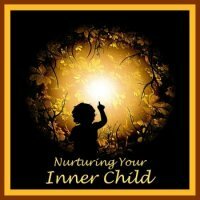 Our Nurturing Your Inner Child audio program is specifically designed to do just that. This will get you started on your journey of dealing with jealousy. All of these techniques work, but only if you use them, and keep using them. You can do this! Believe in yourself. Have A Story About Jealousy? Do you have a story or question about jealousy? Tell us now! My Husband Had An Emotional Affair With Both His PA'S Over Two Years!